It’s tasers all round, thanks to Jacqui Smith! In the effort, perhaps, to distract public attention from serious allegations of corruption, “two homes” secretary, Jacqui Smith (left) has been doing the media rounds to announce her updated counter-terrorism strategy, CONTEST 2, designed, as usual, to make people even more afraid than they already are. In the meantime another connected and more sinister announcement has gone unnoticed by the main stream media. On 19 March Ms Smith said that UK police inc. will get up to 10,000 new tasers and £2.3 million to pay for cartridges. 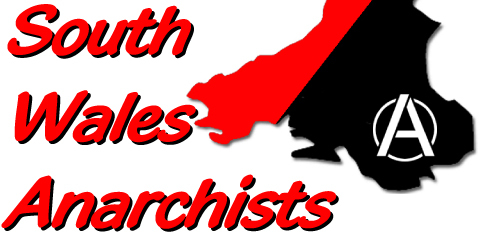 South Wales cops will get 120 and the gun-toting Gwent force will get an extra 100. Could it be that tasers will be deployed on the streets of London during the G20? As interest grows in the April Fools Day gathering at the Bank of England, the MET are starting to get worried. And if they want to resort to tasers, they can rest assured that they’ll have another 150 of them to play with thanks to Jacqui’s generosity. Cops taser 89 year-old man to ‘protect him’. The unidentified man from north Wales had recently been admitted to a care home, but had tried to leave on a couple of occasions. And it was after he’d left the care home in a confused state that the trigger-happy cops fired 50,000 volts into the pensioner. The man’s nephew said his uncle had been fit until about a year ago, but then had deteriorated and found it difficult to cope. “diabolical way to treat an old man”. 50,000 volts to 'protect' an old man? 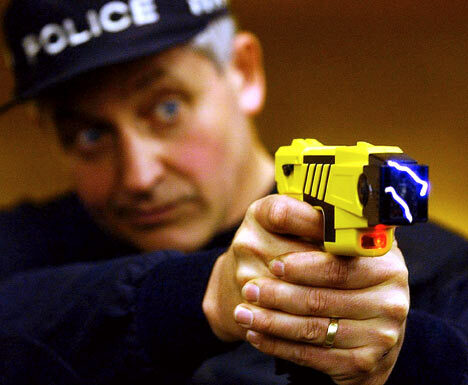 We wonder when the first death by taser will happen in Wales. And when the first fatality does occur (there have been nearly 350 deaths in the US since tasers were introduced in 2001) we’re in no doubt that the cops will trot out the same response. No wonder complaints against the police are going up!